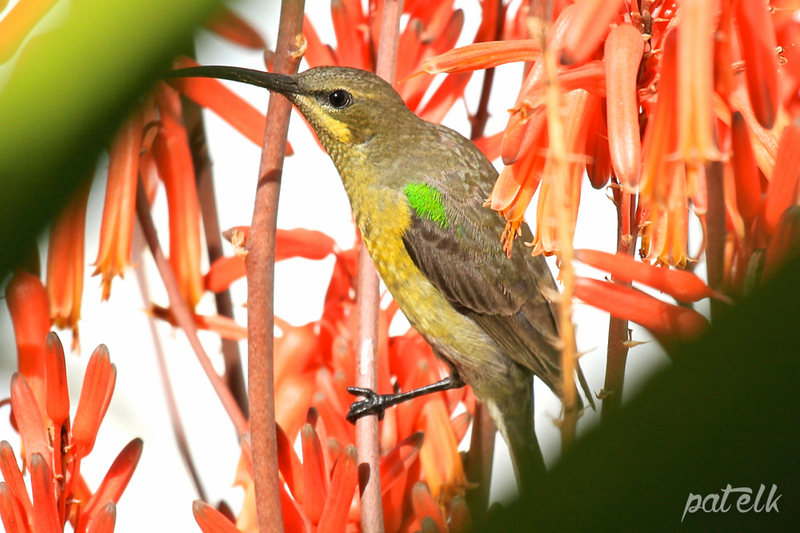 The Malachite Sunbird (Afrikaans name, Jangroentjie) is a large, long billed, stunning Sunbird. We have seen them in our garden and at Intaka Island and Kirstenbosch Gardens. When the Male is going into eclipse he loses his vibrant colour but still retains some of his green feathers. The female looks almost dowdy in her brownish plumage in contrast to the the iridescent colours of the male.